We aim to create mixture of both indulgent and healthy options on our menu. With the extra treat of a selection of delicious cakes! Our cakes change all the time, see some pictures on the Gallery page. We now do cakes to suit some dietary needs see images or contact us for details. and also have a children's menu which will always be available. 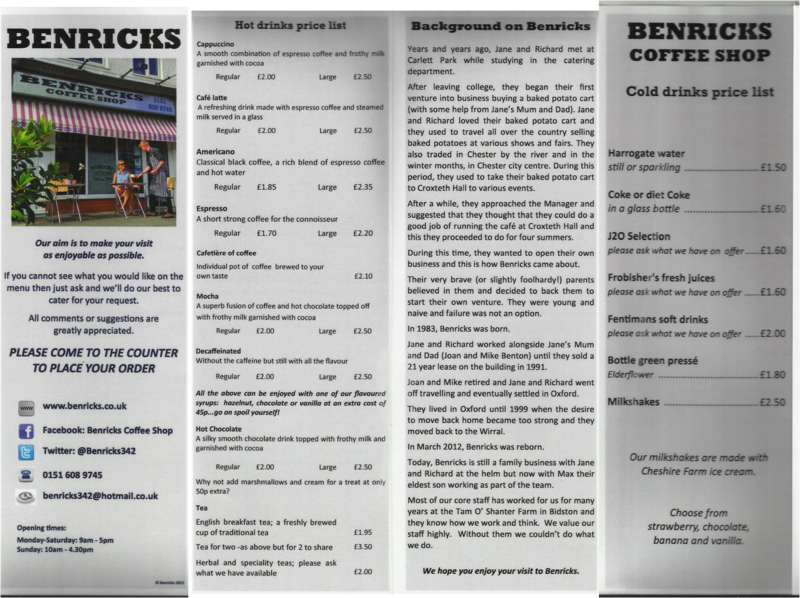 Please click on the links below for both sides of our new menu! Can't decide what to choose for that special gift....?